Never had children of my own. I was married to John Hohl in 1972. We were happily married for twenty-eight years. On June 30, 2000, he died unexpectedly. I spent six years alone trying to figure out who I was and where I was going. In January 2006 I met a wonderful man. Five months later, I retired my teaching position in the Paul Public Schools and remarried in September 2007. With the gift of retirement, I was finally able to follow my writing dream. In 2008, I published our family's story, Miriam Daughter of Finnish Immigrants, and had the honor of presenting it at an international conference in Finland in 2009. In 2011, I published my memoir, Twenty-Eight Snow Angels A Widow's Story of Love, Loss and Renewal. The book is helping others through loss. Then in June 2015, I released my historical fiction book, Courageous Footsteps A WWII Novel, that weaves together the stories of two Japanese American teenagers imprisoned in a U. S. interment camp. Readers enjoyed my award-winning book Courageous Footsteps and inspired me to write two more novels in the series: Yasu's Quest: A Tale of Triumph, and On Liberty's Wings: A Post-WWII Novel. All my books are available on Amazon, Barnes & Noble and various independent bookstores. I've presented my books at various events and venues. I'm also a contributing author for the national Women's Voices for Change organization in New York City. When I was in sixth grade, my family moved from north Minneapolis to rural New Brighton. The house on Long Lake with a farm next door was a drastic change from the city concrete sidewalks that carried me daily to school, local parks, swimming pools and corner stores. Leaving all my friends and starting sixth grade at Edgewood Junior High traumatized me. Luckily, I met my best friend, Linda Paulson (Fredrickson), at Edgewood Junior High. For some quirky reason, we hit it off immediately and we've been friends ever since. I think the staff at Mounds View got wind of our junior high shenanigans because we didn't have any classes together in high school. To stay connected we wrote notes to each other in the evenings and passed them back and forth to each other in the hallways between classes. Linda's friendship has been a lifelong gift. Even though our lives took different directions, we've managed to stay connected. No matter how long we're apart, our friendship is immediately ignited with smiles, hugs and sparks of laughter. Diane M Elleson Dettmann posted a message. Diane M Elleson Dettmann added a comment on her Profile. Diane M Elleson Dettmann added a photo to her profile gallery. 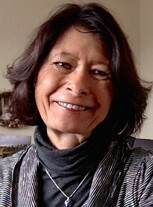 Diane M Elleson Dettmann updated her profile. View. Diane M Elleson Dettmann has a birthday today. New comment added. Diane M Elleson Dettmann posted a message. New comment added. My MV English teacher Mrs. Jensen inspired me as a writer. The third book in my Courageous Footsteps historical fiction series will be released Fall 2017! I want to thank all my MV classmates who have purchased copies of my books and posted reviews on Amazon. Your support is greatly appreciated! Book info at http://www.outskirtspress.com/footsteps Looking forward to seeing you in August at the Green Mill. Thank you reunion committee for keeping us connected! Here's a short video about my first historical fiction book, Courageous Footsteps: A WWII Novel. It's available in paperback and ebook. More information on my website at http://www.outskirtspress.com/footsteps. We sure enjoyed our time at the Mounds View 50th! Many thanks to the Reunion Committee for the awesome event! A huge thanks to all of you who have purchased copies of my books! My memoir, Twenty-Eight Snow Angels is offering support to widows and widowers, and my family memoir, Miriam Daughter of Finnish Immigrants, continues to open readers' eyes to the challenges and hardships of raising seven children during the Great Depression. My recently released historical fiction book, Courageous Footsteps A WWII Novel, has received great reviews from readers and I hope to have sequel released summer 2016. You can find more information about my books and writing journey on my amazon author page http://www.amazon.com/-/e/B003FHMAUS Your support is deeply appreciated! In case you missed my latest Christmas essay posted on the Women's Voices For Change website here's the link http://womensvoicesforchange.org/true-gifts-of-christmas.htm Feel free to leave a comment at the end of the essay. Thanks for all your support! With a little luck I should have the sequel to my debut novel, Courageous Footsteps, out this summer. Information about all my books at https://www.amazon.com/author/dianedettmann Wishing everyone a wonderful 2016! Hope this holiday season is filled with joy for all of you. I recently wrote an essay for the national Women's Voices for Change organization about how my Christmas celebration has changed over the years. If you're interested in reading it, it's posted on the Women's Voices For Change website at: http://womensvoicesforchange.org/true-gifts-of-christmas.htm Feel free to add a comment at the end of the essay. Thank you so much Debbie for your kind words, they touched my heart deeply. I've always loved writing and am so blessed to be able to follow my passion. I'm honored that I'll be on your favorite author list. My historical fiction book, Courageous Footsteps A WWII Novel was awarded Runner Up in the national 2015 Great Midwest Book Festival in the Young Adult category. I'm working on a sequel to the book with hopes of a summer 2016 release. I totally enjoyed our class reunion!